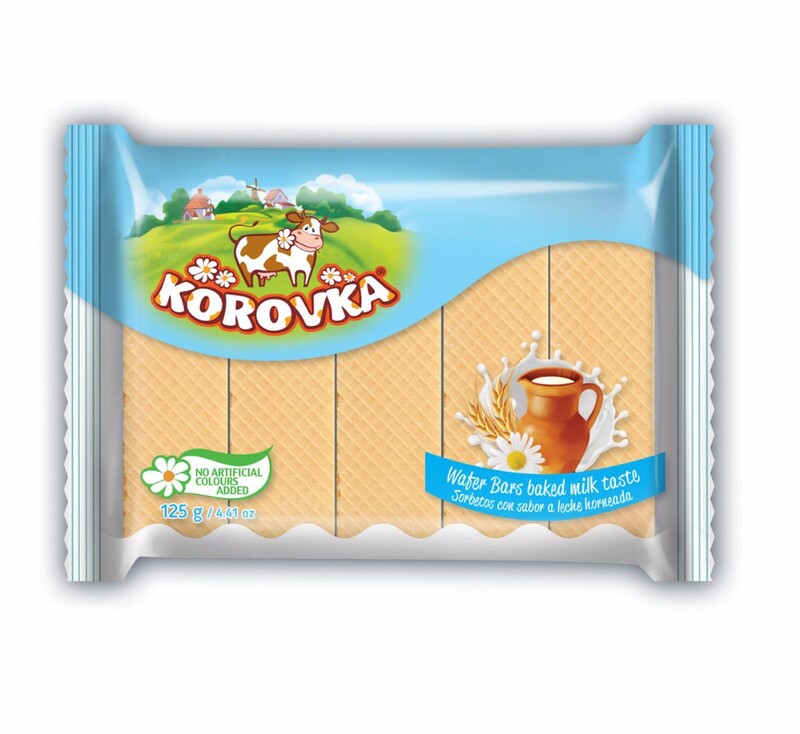 Korovka Wafer Bars Milk taste cookies 125 g.
Carton box, pallet, dry container. 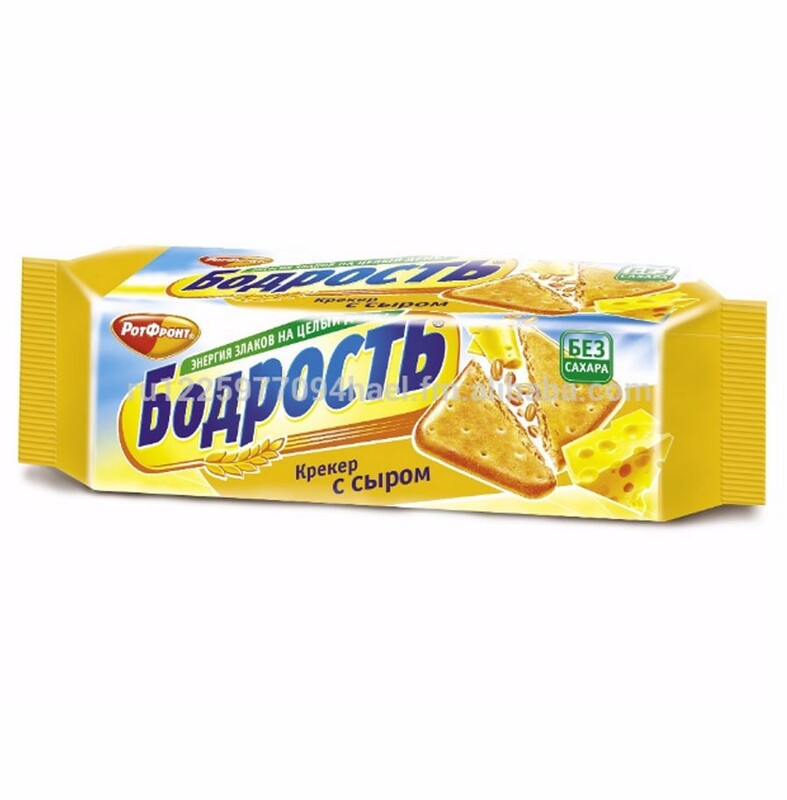 UNICONF — is the largest confectionery Holding in the Eastern Europe and the leader on the Russian confectionary market. 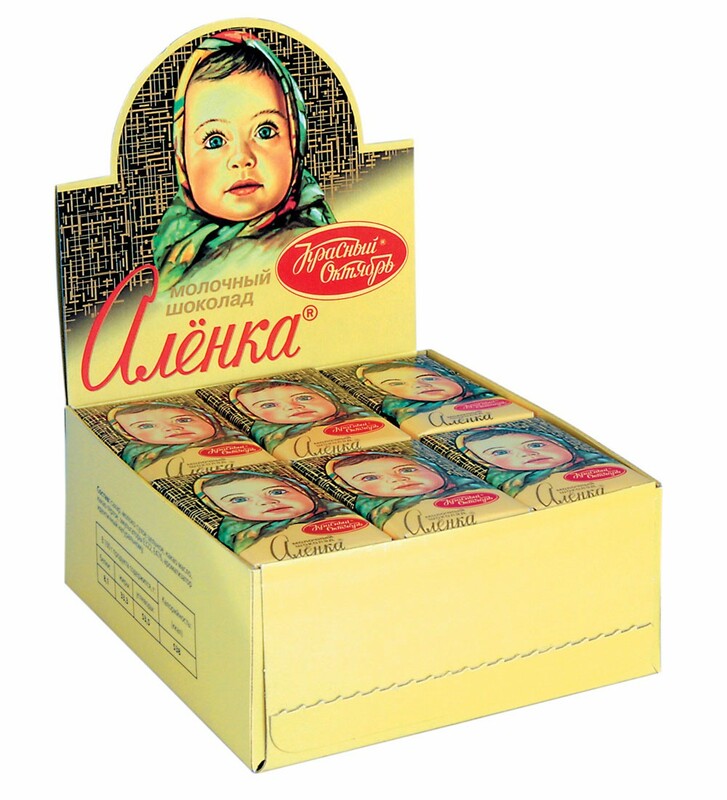 The history of sweets of our enterprise began in the capital of Russia. UNICONF unique since 1804. We have a unique history, unique ideas and unique brands. Not only millions of Russian consumers choose our products but we are also becoming more popular among foreigners. 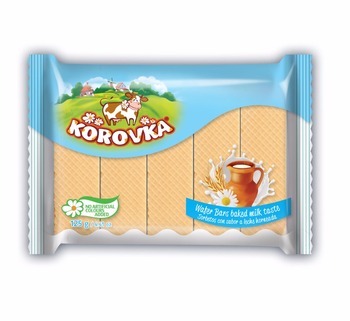 Realizing such a high interest to our products in Russia, we adapted the packaging for our International project. 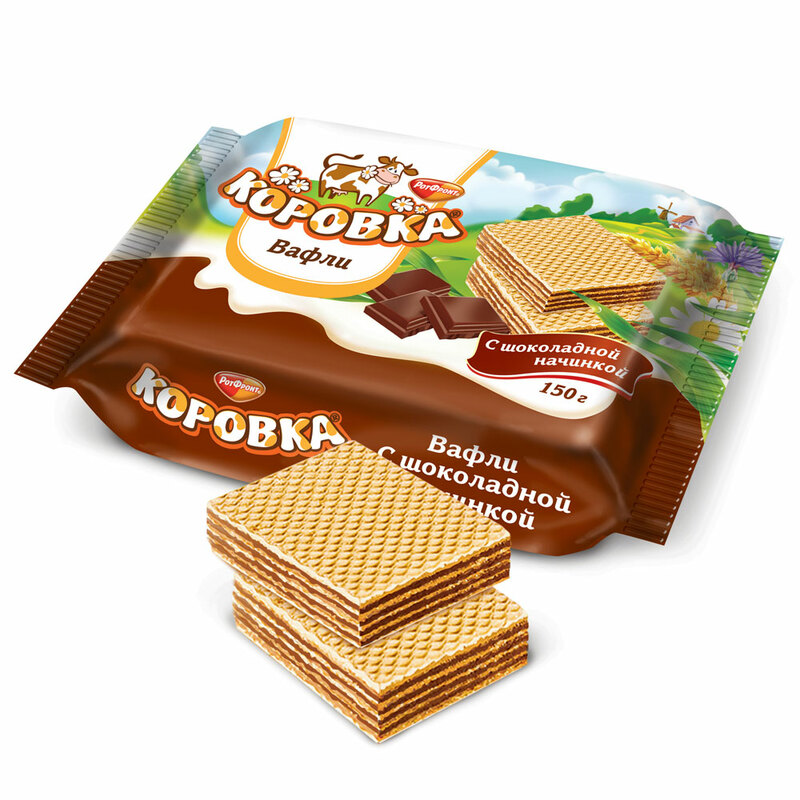 We have gone a huge way from the first Moscow candies to powerful confectionery empire. 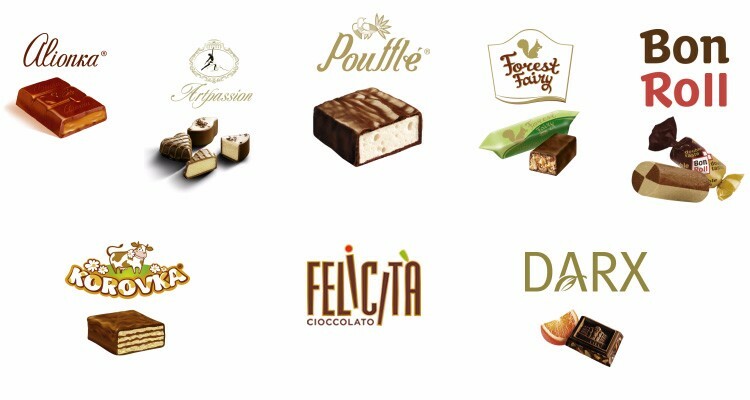 We carefully control all the road of our products, from the cultivation of cocoa in Africa (Cote d’Ivoire and Ghana) to our consumers satisfaction. UNICONF has its own agricultural sector and two dairy production units.